The US Census Bureau says the American frontier closed in 1890. But the reality is that many people still live in rural areas today. This is as much due to the real population factors of the traditional heartland as it is because of the evolving way we define what rural is. Though the FCC is dealing with a bit of a storm in other areas, one little-noted change they are suggesting is an expansion of funding for the Rural Healthcare Program (RHP) beyond the current $400 million cap. Part of that expansion would help fund telehealth options and they are taking comments from the public on this important matter. In fact, the FCC has been explicit in including expanded broadband access to facilitate telehealth capabilities among RHP participants. These now include healthcare facilities run by nurse practitioners and physicians assistants, by far the most common sort encountered in rural areas. And, in 40 states, these healthcare professionals can write prescriptions with the same authority as a doctor. And yet they are not equipped for everything that they may encounter, whether from lack of training or equipment or sheer numbers. Regardless of the initials after a person’s name, America at large is experiencing a healthcare professional shortage across the board. With the proposed funding expansion, and the stated intent of the FCC to include broadband access in that amount, telehealth options are on the table for the more than 5,500 hospitals and nursing homes served by the RHP. We do not yet have an accurate count on the number of physician assistant and nurse practitioner clinics covered by the RHP because their addition is so new, but the USDA estimates they are the primary healthcare professionals for 17% of the American population. The FCC move is intended to help provide medical care to the almost one-in-five Americans in that group and they intend to do it with telehealth, and the plan includes provisions for the PAs and NPs that serve rural populations in addition to bigger hospitals and nursing homes. The expansion program, by paying for the infrastructure of and access to broadband, makes these new technologies a viable option. But, as you may have expected, there is more. The FCC proposal explicitly includes telehealth machinery, both for clinical use and for monitoring patients when at home. Starting the adoption process now, gathering the needed information for what a given care center and its patients need, is the best way to get ahead of the game once the expansion happens. 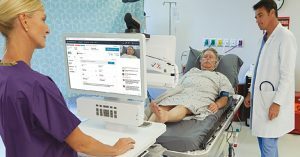 Then, depending on the precise plan that is adopted, telehealth equipment will either be paid for directly by the FCC or the care center will be reimbursed. At minimum, looking at the options is due diligence for taking care of patients. 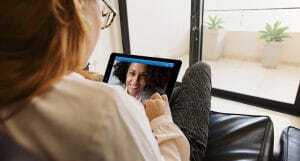 In short, taking a look now at the avenues that are opening up for telehealth adoption and expansion means you will at least know the current state of the art. 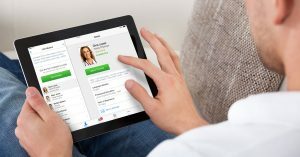 Better still, it will prepare your practice to move forward with telehealth implementation once the final plan is authorized and put into action.